For reasons that continue to frustrate many, the U.S. government and the U.S. Food and Drug Administration are extremely reluctant in their efforts to ban or remove certain ingredients from the market, even when hundreds of other countries are taking the lead in doing so. Most Americans would be shocked to learn of the potential hazards in so many of the products they regularly consume. Being informed about your food options can help you make better choices for your health. Consider the following ingredients that are banned from the shelves and plates of those in other countries, but continue to perpetrate America. As their name details, farm-raised salmon are removed from their natural habitat to be filled with unnatural GMO grains and harmful toxins, contaminants that cause the flesh of the salmon to become a ghostly gray color, the Natural News Blog reported. One of the more serious synthetics found in these fish is astaxanthin. Wild salmon has the proper dark pink coloring that is indicative of a healthy, natural fish. Sockeye salmon and Alaskan salmon are your best bet if consuming this fish, since these two species are not allowed to be farmed. Banned in: New Zealand and Australia. There's good reason that soft drinks like orange soda and Mountain Dew look anything but natural. Their bright, nearly neon-coloring should be an immediate red flag yet Americans continue to consume these highly toxic liquids at an alarming rate. According to Statistica, within a seven day period in 2017, 24.89 million people in the U.S. guzzled Mountain Dew. "Data from one week of 2017 showed that 24.89 million people drank Mountain Dew." According to Business Insider, the reason that these and similar sodas are able to hold such vibrant coloring is because of an ingredient known as BVO or, brominated vegetable oil. 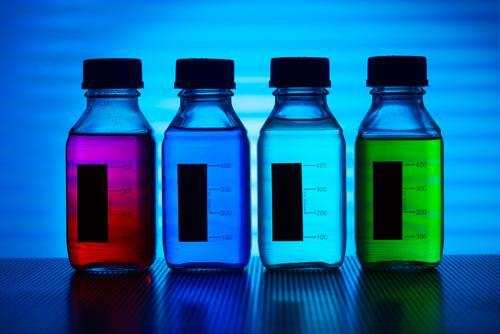 This oil enables the liquid to hold the unique coloring through means of its key ingredient, a flame retardant chemical. This chemical can also be found in carpets, woven in to prevent them from catching fire in the home. In humans, this toxin has been shown to cause damage to the endocrine and nervous system, as well as interfere with reproduction and behavior. Banned in: Japan, the EU and 100 more countries. Another ingredient that should signal danger due to its unnatural coloring is partially hydrogenated oils. Known as PHOs to most, these chemicals are most often found in candies and frostings, but also in things like frozen pizza to help them keep longer, according to Good Housekeeping. But as most informed consumers should know, any food that is pumped with ingredients causing it to last longer than its natural shelf life are best avoided. IHS Markit reported that though the U.S. announced that PHOs were considered unsafe and not fit for human consumption in 2015 and Denmark banned the chemical as early as 2004, it still won't be completely phased out in America until June of this year. As a result, PHOs are still in many products filling your grocery store shelves. Your best bet is to check labels for yourself. According to Consumer Health Digest, there is a method that not only makes animals grow faster, but also creates a falsehood of how fresh the flesh is. 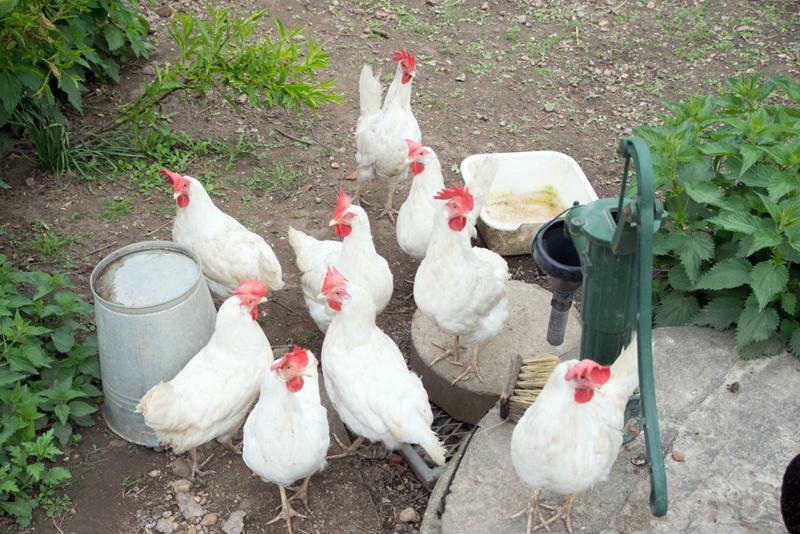 Drugs laced with arsenic are commonly used to promote growth, especially among chickens. This chemical makes the animal meat appear pink and naturally fresh, though quite the opposite is true. It's also used to combat an intestinal parasitic disease in these animals called coccidiosis. While Hallelujah Diet promotes a primarily raw, plant-based diet, if you do choose to consume meat, ensure that you are very selective of where it is coming from. The aforementioned drug is a known carcinogen, Natural News blog explained. Much of the chicken sold today is laced with arsenic. Perhaps one of the most shocking drugs still approved for use in feeding and growing pigs in the U.S. is ractopamine – a chemical banned by 160 other countries around the world, Live Science reported. No matter how careful you are to avoid purchasing pork containing this chemical, staying vigilant may be near impossible. That is because it is approximated that between 60 percent to 80 percent of pigs used for food production in the U.S. contain ractopamine. The safety of this drug, categorized under beta-agonists, has always been met with many concerns. When it was originally approved by the FDA, it had only been tested in one study – a study that included just six men, all of whom were healthy. The FDA did later accuse ractopamine's sponsor company of failing to provide information on the drug's efficacy and safety. Moreover, the FDA has since linked ractopamine to nearly a quarter-million incidences of pigs falling ill or dying, Live Science reported. Banned in: Nearly everywhere except the U.S.
Also known as Olean, this fat-free food additive is found in nearly all of the French fries and chips Americans consume today, Desert News reported. It was first approved by the FDA 22 years ago and was intended to be used in place of butter or cooking oil. It was later discovered however, that this chemical prohibits the body's ability to effectively absorb essential vitamins. It was also found to interfere with the digestive system, causing cramping and bloating, among other side effects. Banned in: the U.K. and Canada. By sticking to a primarily raw, plant-based diet, you can avoid nearly all of these banned ingredients in the first place. This article just confirms the importance of being very careful when it comes to the foods we put in our bodies. It absolutely baffles me that this country could still allow things to be used for human consumption that are already banned by so many countries. Those that don’t follow a plant based diet that limits or eliminates processed foods need to be diligent when it comes to knowing how those foods are processed. Sometimes you will find ingredients listed that would surprise you if you knew what it really was. Who would have thought that there would be brominated vegetable oil in a soft drink? Yuck! So sad that there are still foods NOT banned in our country. We have to be so careful to read all packaging and food labels now. My grandson has been hooked on Mountain Dew for years. He has had some urinary situations with this product. And chicken and salmon….must be extremely cautious. Thanks so much for this informative and cautionary blog!! One has to ask, why does this still happen? The answer is very simple… follow the money. Very few big businesses in the States, indeed in the whole world have positive ethics… it is ALL about the money. Why was Aspartame, a product that was banned by the FDA, overturned? Because the newly appointed Director under Ronald Reagan was a major shareholder in the company that manufactured it. Why did the FDA ban it originally? Because it is a Killer Substance. The agent used to manufacture the sweetness is the excrement of e. coli… that wonderful bacteria that kills so many people. Nice huh?